This week has been an interesting week in seeing how people respond to diversity in pop culture. 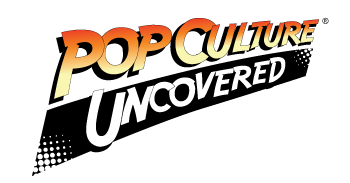 With that said, a disclaimer: The views expressed here are mine and do not necessarily reflect the rest of Pop Culture Uncovered. However, it is a pleasure (and gives me a little bit of pride) to say that we are a part of an outlet which has had creative writers from many different walks of life. These writers have been given an outlet and a vehicle with which to voice their opinions, and whether we agreed or not, we have all had each other’s backs. That being said, Nike’s commercial release this week was brilliant. The reaction from naysayers was not. The images within the ad told the story of what America SHOULD be. There was a diverse assortment of athletes from different walks of life and from many sports disciplines. There was Odell, Lebron, and Serena. There was Olympic fencer Ibtihaj Muhammad, one-handed Seattle Seahawks rookie Shaquem Griffin, and USWNT World Cup winners Megan Rapinoe and Alex Morgan. All of this in the face of the beginning of the NFL’s season — which begins this week. Right after the ad aired, the NFL released a statement reiterating its goal of promoting positive social change (excuse me if I roll my eyes at that, though). Then, of course, a strange and sadly hilarious thing happened. Hashtags like #JustBurnIt, #boycottNike and #IStandForOurFlag started to appear, and there were people actually destroying their gear in protest to the ad. 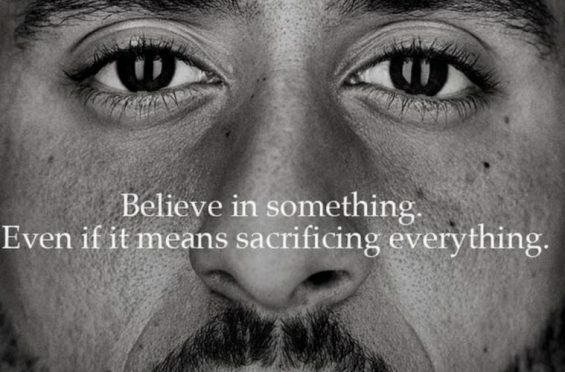 Let’s stop for a second…people ACTUALLY destroyed things that they had already paid money to Nike for, in order to protest this ad. We all know Nike isn’t losing any sleep over this. For those in the back…Nike already got your money. They could care less what you do with your stuff AFTER you paid to keep their lights on! What’s even crazier about this, is that it shows the lack of understanding there is when it comes to protesting. Some of these same people destroying their gear are the same ones that are against Colin Kaepernick or anyone protesting social injustices in America. These are people attempting to show what convenient protesting looks like and failing spectacularly. Amazing how it works right? People who protest social injustices such as school shootings, cops killing people and so on should remain silent; but the moment the face of one of the protests appears? BURN EVERYTHING IN YOUR CLOSET. That’s not how it works. Protest works when what you are doing directly affects the bottom line of those you are protesting. Again for the people in the back, burning stuff you already paid for is NOT a way to raise awareness through protesting! Donate these items to homeless vets that some of you claim to care about because…it’s all about the troops, right? How about donating these items to a women’s shelter or a children’s shelter? No? What about a Goodwill center or the Salvation Army? Best yet, how about investing time into going to some of these communities (especially for those of you close to Chicago, Baltimore or Ferguson) and donating TIME and RESOURCES to stem the tide of poverty in these areas. If you aren’t sure of what your rights are, re-enroll in a civics class. Some community colleges may even offer these for free or a small fee. Maybe that might be too much, as some are really just content to watch the game on Sundays without ever bothering to stand up for the anthem themselves — let alone understanding exactly how protesting something works. It has always amazed me how some people get so angry about people protesting without ever bothering to understand. Worse yet, those same people would rather silence those who properly exercise their 1st Amendment right. It also amazes me that some can talk a good game, such as the white nationalists who thought they could bring out large numbers in August to rally in DC only to have barely a handful show up in masks and then choosing to be silent when asked about their platform. It’s amazing and shameful at the same time that this is where we are as a nation. A nation full of immigrants, and yet still has a handful of people who want to wield all of the ‘power’, but are just too stupid to understand the basics of handling such a responsibility. Thank you Nike for being on the right side of history and doing this. One could only hope that New Balance and Under Armor may follow suit.